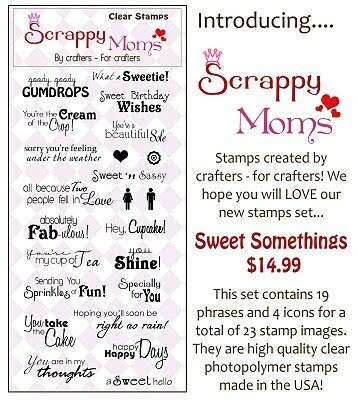 The new Scrappy Mom Stamps have arrived!! I am so super excited and cannot wait for you guys to see these sentiments. Here is a video with one of my favorites and after the video you will see a photo of the entire stamp set! Big Thank You to Cristina, to visit her please CLICK HERE! Sweet card! Thanks for the tut on DS. It was great, and I am looking forward to seeing more of your videos. Gorgeous card! I love that butterfly and your little pen dots add so much. Lovely!! Such a cute card. Thanks for sharing the new stamps. And yes, Christina is a wodnerful person. She is such a dear!! This is great! Thank you Cristina and Momo!! I plan on getting DS in a few months so this is great! Also, beautiful card! That is awesome Momo ! Thank you Christina for sharing that knowledge. Momo beautiful card. And thank you for doing the DS tutorial. I am one of those people that have had my DS for over a year and just found it too frustrating to use. Will be following your blog to help tweek my skills. Have a great day. Card is so cute. Thank you for putting tutorials of DS, I appreciate it. Beautiful card! The sentiments are adorable! I can't wait to get to play with mine. I love that you made the butterfly 3D by folding the wings up. TFS! This card is beautiful! I love the shimmery butterfly! What is the name of the program you used to record your tutorial? I might want to try this out! soo glad ur doing DS tutorials.. all i've seen are gypsy stuff and well ican't afford a gypsy! i actually used my DS yesterday.. and found some new stuff i didn't know I can do! Awesome! what is the name of that video program. I am so really really excited! Thank you to both of you ladies for coming up with this idea. I've had my DS for well over a year but have never known how to make shaped cards. I must have tried for over an hour one time and all I did was waste paper because I always got two pieces! Grrrrr! I even have Storybook so I can get started right away. 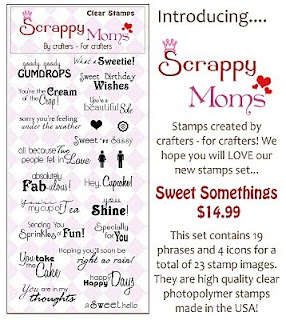 Will also be ordering the stamps. I'm so grateful and thank you Momo for talking loud! I love your site so much. Thank you so much for your awesome teaching. It is wonderful to see how you and Christina and others work together rather than against. So uplifting! oooh awesome tutorial! Share the program that let u do that please! What a beautiful card that looks so simple to make. Thanks for sharing! what a great card! I am loving all these new stamps that are coming out. Love this butterfly..it's such a sweet card! Thanks so much for all your videos. I watch everyone, and I'm learning a lot. Please include me in the drawing for a stamp set.